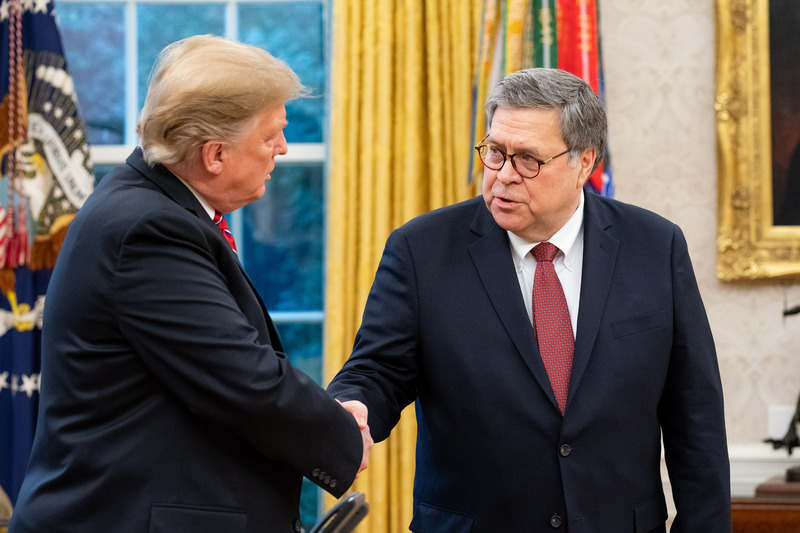 Note: Barr received Mueller’s report concluding a 22-month investigation into Russian interference in the 2016 election yesterday. Following this development, demands for the report’s public release has heightened. If Barr reneges on his promise to make the Mueller report as transparent as possible, or if “transparent as possible” means he cherry picks what he delivers to the public, he will send a potently negative message to the American people. Rather, Barr must recognize he has a monumental responsibility to help restore Americans’ confidence in the integrity of our democracy. He must not squander this opportunity to be accountable to the people by unnecessarily withholding the report and its findings from the public. Americans will not accept anything less than complete transparency, as the groundswell of demands to make the report public has shown. With the exception of intelligence sources and methods, information concerning ongoing investigations or sensitive law enforcement details, Mueller’s complete, final report and related documents must see the light of day. All documents pertaining to this investigation must be preserved and conclusions shared, so we can reinforce our democratic system of checks and balances and demand accountability if wrongdoing occurred.